Mulch is an essential component of any garden. It primarily works to help maintain moisture in the soil, but can also be beneficial for weed control. It can even be useful in terms of aesthetic improvements. When seeking the right mulch for your garden, you will have to make a decision between two different types: organic and synthetic. Many people find themselves confused by these two different forms of mulch. Below, we’re going to dive into this subject to try and ensure you can select the right option for your garden. Organic mulch is mulch that is made from sources that were once alive. Examples include grass cuttings, shredded leaves, and tree bark. Organic mulch will biodegrade into the soil eventually, which means it will need to be replaced frequently. Organic mulch tends to lower the pH of your soil. Major advantage: Perhaps the biggest benefit of organic mulch is that it can deposit beneficial chemicals into the soil. For example, grass clippings can add nitrogen, which is essential for healthy plant growth. Synthetic mulch is made from products that have never been alive. These include glass chips, rubber, or plastic. Synthetic mulch will not biodegrade into the soil. If it can biodegrade, it will do so incredibly slowly. This should mean that synthetic mulch is able to last for a long time. As synthetic mulch either does not biodegrade or biodegrades very slowly, it should not impact the pH of your soil. 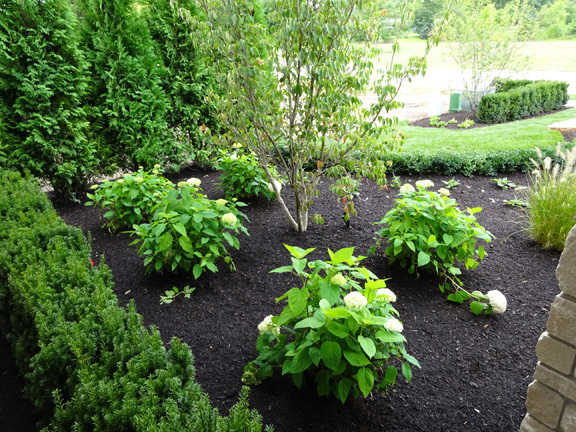 Biggest advantage: If you tend to struggle with long winters and cold springs, then synthetic mulch – and particularly black plastic mulch – can help to warm the soil substantially. This can give you the opportunity to start plants outside earlier in the year than you normally would. That’s a very useful choice for those years when the warmer weather seems to be taking its time! There are three questions you need to ask yourself when deciding if organic or synthetic mulch is suitable for your needs. How important is sustainability to me? Organic mulch is far more sustainable than synthetic mulch. 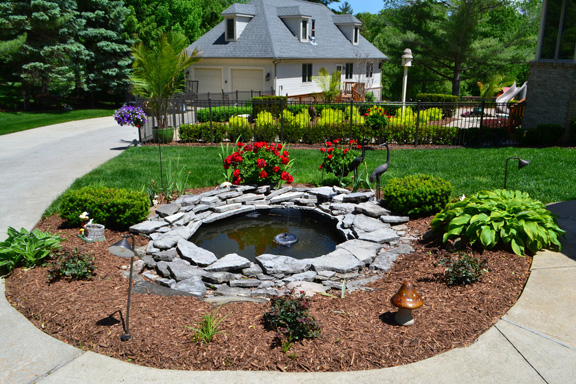 While synthetic mulch can last longer, it is ultimately produced by manmade means. In the case of plastic and rubber, this is via the usage of fossil fuels. If sustainability is a concern for you, then organic mulch is usually preferable. What is my soil pH? If you have issues with your soil pH already being too low, then organic mulch will worsen this problem. How much rain does my garden receive? Synthetic mulch can prevent water from passing through the soil. If you do not receive a huge amount of rainfall – or are reticent to use additional watering methods such as sprinklers – then you may prefer to opt for organic mulch instead. When it comes to choosing the mulch for your outdoor space, there is no right or wrong answer. Opt for the mulch type that suits your specific needs, priorities, and your budget; with these aspects in mind, you won’t go wrong.